Ivan Garcia, 15 July 2017 — Even the street dogs, ragged and hungry, take cover under the roofs in Havana when the clock marks 1 PM. The sun burns and humidity gives you sweat marks on your clothes. After noon the Havana’s street look like the Saharan desert. People take cover in their houses and those out walking are just desperate go into any store, cafeteria or a state bank with air conditioning to get a blessed shot of air from the refrigerated climate. After having two boiled eggs for lunch, along with white rice and a watery black bean soup, Antonio, places against his shoulder, as if it was a baseball bat, the heavy pneumatic hammer and starts breaking streets. “I work twelve hours a day. Nobody likes repairing and asphalting streets. Almost all of us that work here are ex-prisioners, incurable alcoholics or mentally impaired. I make the equivalent to US $50 (approximately 1,250 Cuban pesos) a month, sometimes a little more if we meet the plan,” explains Antonio. In other countries, the maintenance of public roads is done during the night time, among other things to help with the heat during the day. But in Cuba, the supposedly socialist Mecca with a human face, it is done with a sun from hell. The olive green regime is a complex game of mirrors. They sell the social justice narrative, love for the people and productive successes that are only met on the television newsrooms. If you really want to understand the authentic military power that governs Cuba, please, stop at the salary of their workers. Since Fidel Castro came into power, using military force in January 1959, a part of one’s salary, between 5% and 9%, was deducted to pay for education and universal health care. 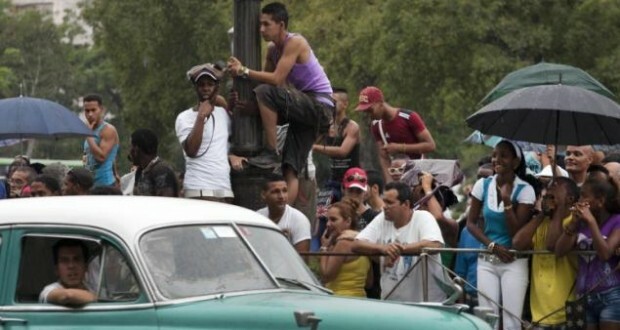 The majority of the Cubans agree on keeping their taxes to support the health care and education. But with the passing of time, the galloping inflation, the lack of productivity of the communist system and the bloated apparatus of the state system, taxation feeds on sales of goods and workers’ salaries as if they were a sandwich. 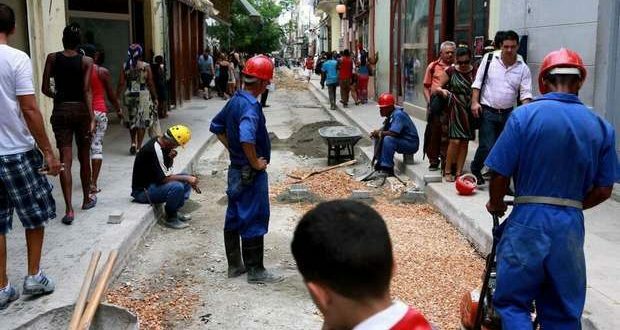 That salary of state workers, which is 90% of the labor force in Cuba, is joke in bad taste. The minimum monthly salary is 225 Cuban pesos or approximately US$10. With that money people pay for the lean “basic basket” that the State gives to all people born in Cuba: 7 lbs. of rice, 5 lbs. sugar, 20 ounces of beans, half a pound of vegetable oil, a pound of chicken, a pack of pasta and a small piece of daily bread of approximately 80 grams. 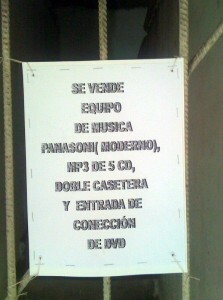 The described merchandise costs no more than 20 Cuban pesos (or less than US$1). But it only lasts for one week. The rest of the month, the ones that earn minimum salary, like retirees, have to do miracles to eat. Then you have the electricity bill. It’s very expensive. A family with a television, two fans, a fridge, a rice cooker, a blender and a dozen light bulbs pays between 30-40 Cuban pesos monthly. If you have air conditioning and more than one TV in the house, the consumption increases to 300 Cuban pesos per month. Except the high level government leaders — and no one knows exactly how much they make — the next highest paid salaries are earned by doctors or ETECSA (the only telecommunications company) engineers. A medical specialist could earn the equivalent of US$60. For an ETECSA professional, adding the hard currency bonus, it can be close to US$90. But is that enough to support a family? Of course not. Ask Migdalia, the engineer. As an answer, the young professional shows a pile of paper full of numbers and expenses. “I am a single mother to a son. For food for two people it costs between 1200-1300 Cuban pesos. The rest, it just evaporates in school snacks. It’s not even enough to pay the electricity, buy books or any other entertainment. My father lives in Miami, he sends me US$200 monthly and once a year pays for a week-long vacation in a hotel in Varadero. Although my salary is one of the highest paid in the country, it doesn’t let me have a quality nutritional diet. To buy clothes, go to the hair salon or go to dinner at a paladar (private restaurant) you have to make money under the table,” explains Migdalia. In Cuba, that euphemism translates to a hard and simple aphorism: stealing from the State. “It is the only way to get to month end, fix the house that is in shambles or go to the beach with the family,” confesses Orestes, a port worker. A national joke defines truthfully the non-existent social contract between the salaried workers and the regime: “people pretend to work and the government pretends to pay us.” It’s never been said better. 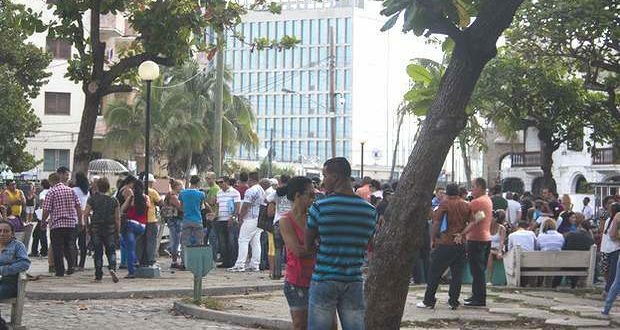 Juan Juan Almeida, 16 June 2017 — Alejandro Marcel Mendivil, successful entrepreneur, owner of El Litoral, a restaurant located at Malecon #161, between L & K, and the restaurant Lungo Mare, located in 1ra Esquina C, in the Vedado district, was arrested in Havana on June 8. The reasons are not clear. Some claim that Marcel Mendivil is accused of money laundering and ties to drug trafficking; and others claim that if you are “noticed” in Cuba, it has a price. “It was early in the morning, says an employee, the sea was flat as a plate when the operative began. Not even the Interior Ministry (MININT), nor the state officials gave any explanations in order to close the restaurant. They (the police) only told the employees that were present that we had to leave the place and look for another job in another restaurant because this closure was going to last. We were closed once, when an issue with the alcohol, but Alejandro solved it”. 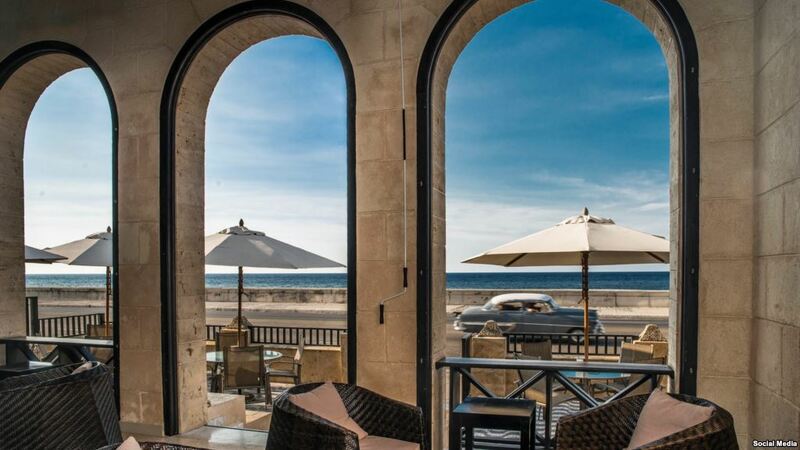 According to sources consulted in the Prosecutor General of the Republic of Cuba, there are plans for measures similar to those taken against Marcel Mendivil for these wealthy and influential owners of a paladar (private restaurant) located in Apartment 1, Malecon 157, between K&L, Vedado. And also against another one in Egido 504 Alton, between Montes & Dragones, Old Havana, in addition to two in Camaguey that were not identified. Since the very beginnings of the human history, the struggle for power has been an ever-present phenomenon. This “me first” mindset began with a tribal chief trying to hold onto it while someone else tried to strip him of it. It continued right through to the present day, passing through different phases — slavery, feudalism, capitalism, socialism — repeating itself endlessly. There are always those who either hold power illegitimately or those who try to gain it illegitimately, whatever the cost. To achieve their objectives, they use words, ideas, concepts, categorization, projects, programs, tactics, strategies and, when necessary, even violence to marshal a majority of societal forces around themselves with the aim of strengthening their positions and quashing their opponents. Cuba’s case is no exception. It began on October 10, 1868 when Carlos Manuel de Cespedes, considered afterwards the Father of the Homeland, tried to concentrate all military power (assuming the rank of captain general) and all civilian power (becoming president) in his own hands; this was not accepted by his constituents in Guáimaro, but throughout time it has materialized on different occasions, without excluding the present. Today, one party and its leaders, with more than 54 years in the exercise of power, attempt to maintain it and a portions of the population, tired of this anomaly, try to displace them. The change, that irremediably will happen sooner or later, could occur in a peaceful or violent manner, it will depend on the acts of the involved; although citizens might prefer the first choice. However, to achieve it high levels of responsibility and intelligence will be indispensable, so as not to get to extreme situations which could make matters worse. In a new political scenario, where some sectors of the population slowly look to be gaining positions with the intention of dialog, although still with a great deal of fear, some old chants and claims, more of the heart than of reason, have lost their relevance and if they are brought up by any of the parties it will only be to obscure and complicate the solution to the national crisis. No one is so naive as to pretend a unity that doesn’t exist, despite the propaganda, not even in the ranks of the government, where there have been multiple cases of the exercise of the dominant double standard, even by important characters who publicly make a big show of their position and in privacy defend another one. Today more than ever due to the transcendence of the actual moment, in the opposition ranks they have to set aside the misunderstandings, personal and group quarrels, and perhaps one or more offenses and put their shoulders to the wheel in the elaboration and defense of a common position, which has to be sufficiently democratic to be accepted by all and sufficiently comprehensive and unbiased to be accepted by the government as well. Only then it will be possible to find a solution that satisfies the majority of the citizens and even whatever minority, since no one should be excluded. Now the proposals should be concrete and viable, leaving aside the highly manipulated history and, for that, is necessary that new forces that are created in the public arena, perhaps with particular visions of the paths to take and to set a precedent to the particular national interest. In the spotlight should be responsibility and intelligence, leaving behind the dogmatism, fanaticism and other isms that have caused so much harm. The magazine “People en Español” chose her as one of the 25 most powerful Latin women. On a list that includes Jennifer López, Sofía Vergara, Kate del Castillo, Lupita Jones, Paulina Rubio, Doctor Polo and other celebrities across the entertainment industry, this young woman stands out. She doesn’t design jewelry, isn’t a business woman, doesn’t star in reality television, nor does she scream or cry in soap operas. On the contrary, she contains her immense tears that television would love to scoop up. Many have tried, from Bayly to María Elvira, but she keeps her black eyes still, shaking from within. They only cry in private. And that may be their greatest power. Paradox of fate, her image became popular for a terrible event that marked her life and her gaze, perhaps forever: on July 22nd her father, Oswaldo Paya Sardinas, leader of the Christian Liberation Movement, and his colleague Harold Cepero, lost their lives on a lonely rural road. The Cuban authorities say that it was a “traffic accident,” where these two Cubans died and the two foreigners that accompanied them were saved: Swedish politician Jens Aron Modig (who was asleep at the time of impact and then lived eight days of Kafkaesque prison in Havana) and the Spaniard Angel Carromero (who in Cuba was convicted of vehicular manslaughter and who in his own country demanded an international inquiry into what her considers a State crime). The two foreigners were isolated and coerced by the State Security. There are witnesses who saw these four people enter the hospital alive, but the only “investigations” permitted are those of the same dictatorship that more than once threatened to kill Payá, whose version is validated by the Spanish government. Rosa María, like many others, we are convinced that it was a shadowy operation still pending, like so many other manufactured horrors, for the Castro government will never admit the answer. For many, Payá was a prominent international figure of dissent on the island. Founder of the Varela Project, he is to date the only man who has gathered thousands of signatures from Cubans (with names and identity numbers) requesting an opposition to the dictatorship. Never in 54 years, has anyone gone so far in a peaceful confrontation to totalitarianism, to the point that the island autocracy was forced to change its constitution, to contain the purpose of the signatures with not only manipulations and state terror, but also with chains legislated to force people to vote for the irony of a single party, damaging free elections, Payá and his followers still claim, risking everything, even death. No wonder he won the European Parliament’s Andrei Sakharov Human Rights Prize in 2002 and was an official candidate for the Nobel Peace Prize several times. 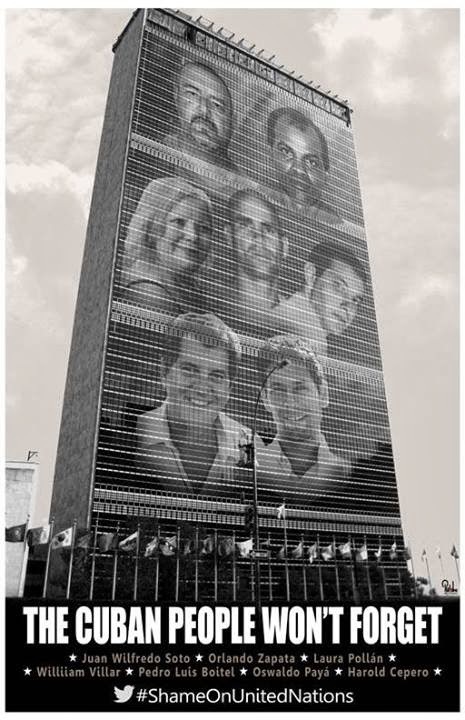 The official version crumbles before the darkness of the facts and background, as an answer blowing in the wind: it was eliminated because it would not agree with the false reforms that the Cuban government sells the world and its own citizens, cementing the power of new leaders with consumer checkbooks fattened on behalf of that hypocritical melodrama called socialism. Despite daily violations of the most elementary freedoms, Cuba has once again joined the United Nations Human Rights Council. Rosa Maria Payá has not stopped speaking before this or other international forums to denounce the reality, to ask for help to speed up democracy and to ask for a serious investigation that would show the true reason for the death of her father and her friend Harold. Also under death threat by the agents of the regime, for some months she has lived in Florida with her mother. As a good daughter and tenacious disciple, she continues fighting for the holding of a plebiscite that would provide the basis for authentic democracy in Cuba. Opposing the great hoax called “cosmetic change” which will make the leaders of the Communist Party (or whatever they come up with) legally richer, while making poorer those who asphyxiate every day and that luckily are losing their fear of protesting publicly in the streets. For many this is a chimera. For her it is a desire. Her faith. Another inheritance from her father. Thanks to People the image of this 24-year-old Cuban (the youngest on the list) is repeated in news and signs, newspapers and social media along with other popular Latinas, powerful (even millionaires), talented and beautiful. Her message, unknown to millions, will be transmitted through other channels a lot more popular to keep attempting to break the blindfold that has covered the eyes of a people for more than half of century, and also the eyes of a good portion of the world. Neither sad, nor happy, it is Rosa Maria who looks at us from this snapshot by Orlando Luis Pardo Lazo, taken in Lawton, Havana, a few months after her father’s death. The collapsing building where she appears, between reality and a metaphor: the wall of Cuba. And her black eyes, deep and sincere, through which we can see the horror and the hope, the persistence and the tenderness, and that reward with another nuance, this kind of almanac of successful women. Vagaries of fate. From there, again overcoming again the invading eye of the press, she sustains her fixed look at the kidnapped island. 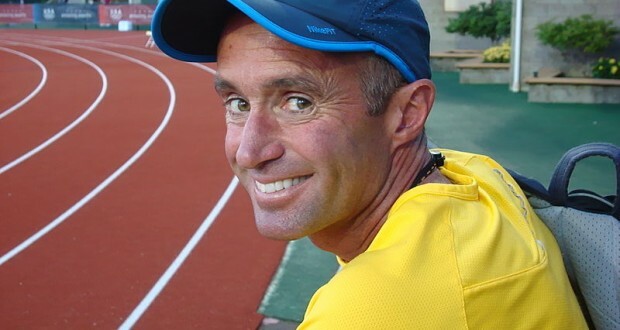 Alberto Salazar, who was one of the most distinguish runners in the United States, today is a highly paid trainer in long distance running around the world. The best informed on the island know that Jeff Bezos, Amazon’s Executive Director and owner of the Washington Post Newspaper, had a stepfather born in Santiago de Cuba. Ryan Lochte’s mother is from Havana. Alberto Salazar, Mo Farah’s trainer, was born August 7, 1958 in Havana. Or that Isabel Toledo, the designer of the dress that Michelle Obama wore in January 2009 at her husband’s first presidential inauguration, is from Las Villas where she was born in 1961. And that the first lady has wore models from Narciso Rodriguez, son of Cuban immigrants that arrived in New Jersey in the 1950’s. Narciso was raised in a family very attached to their roots. Due to the lack of access to the internet, magazines or foreign newspapers, many in the island would be surprised to discover that Dudley, Cuba Gooding Jr.’s grandfather was a Barbado’s native and that in 1936 je traveled to the island and there fell in love and married a Cuban. After her passing, Dudley wanted to remember his love’s homeland naming their son Cuba, who at the same time continued the tradition naming his first descendant Cuba. Another actor, Steven Bauer, Melanie Griffith’s ex-husband, was born in Havana in 1956, and his real name is Esteban Echevarria. Marcia Presman, Miami’s socialite, is the mother of Brett Ratner, movie director and musical producer. She was born in Cuba, in the center of a Jewish family which in 1960 immigrated to the United States. 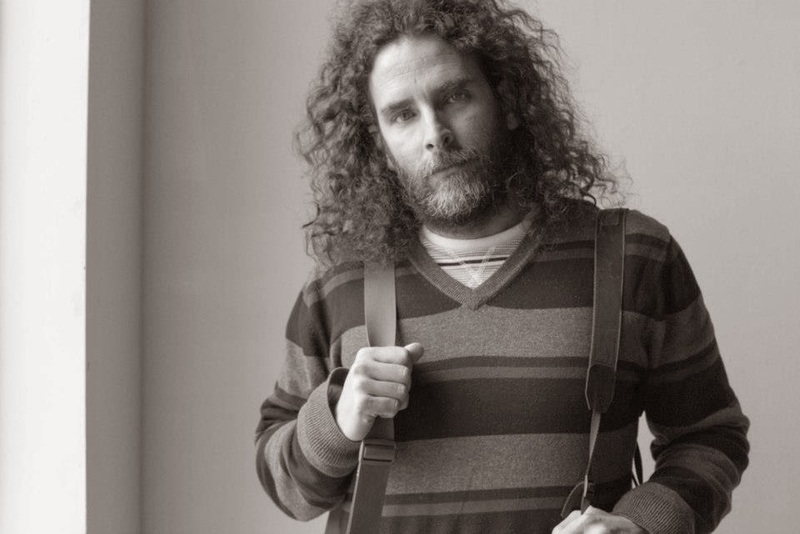 The famous blogger Perez Hilton (Mario Armando Lavandeira) also has Cuban roots. But not all know that the Puerto Rican Jorge Posada, ex player with the Yankees is son of a Cuban father and a Dominican mother. Pitcher Gio Gonzalez is son to two Cuban fans. Jon Jay, center field for the St Louis Cardinals was born in Miami; his father was from Santiago de Cuba and his mother from Matanzas. Since his first and last names tend to offer confusion he has said: “Yes, I am Cuban. Of rice and black beans, palomilla steak and cafe con leche”. Perhaps Justo Jay, Jon’s father, might be related to Ruperto Jay Matamoros (Santiago de Cuba 1912-Havana 2008) the largest exponent of naif painting in Cuba. Of course, Cubans know about the saxophonist Paquito D’Rivera and trumpet player Arturo Sandoval, both American citizens today; they were born on the island. That Andy Garcia came into this world in Bejucal, a town 26 km south of Havana. That Eva Mendez (Miami, 1975) is the youngest of four siblings, all children to Cuban immigrants. And that Cameron Diaz (California, 1972) is the daughter of the American Billy Early and Emilio Diaz, now dead, famous entrepreneur whose parents settled in Tampa. Also Carlos Leon, the father of Lourdes Maria, Madonna’s daughter, was born in Cuba in 1966. Armando Christian Perez, alias Pitbull, son of Cubans who immigrated to Florida, is heard among toques de santo parties, with white rum and marijuana in the poorest and largely black neighborhoods in the capital. Willy Chirino (Pinar del Rio, 1947) is almost an “asere” from the neighborhood. His hit, “New Day is Coming” has become a hymn in Cuba. People rent gossip magazines to read about the model and actor William Levy, born in Havana in 1980. Or about Gloria Estefan (Havana, 1957) and her husband Emilio (Santiago de Cuba, 1953). 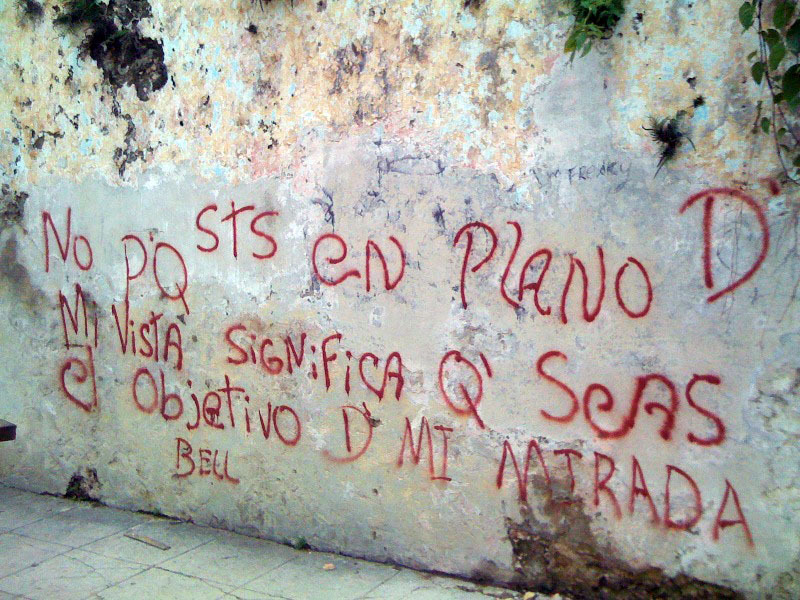 On the island there are some people who believe that the Cuban-American composer Jorge Luis Piloto is related to the binomial author Piloto & Vera. Which doesn’t stop people from El Pilar, the neighborhood where he lived in the capital, from knowing the lyrics of his songs sung by Luis Enrique or Chayanne. The regime, in his campaign to discredit Cubans in the exile and their descendants, hide their triumphs in the United States. When they mention names of the ex-president of The Coca-Cola Company, Roberto Goizuete; the Bacardi family or the Fanjul, among others, they link them to the national bourgeoisie or the dictator Fulgencio Batista. The politicians with Cuban origins that swarm mayor positions or other institutions in Florida or other states or the US Congress, are target of criticism from the regime. Disparagingly they call them the “Miami Mafia”. The message is understood. Since 1959, when Fidel Castro gained power and started piecing together the most successful autocracy of the continent, the immigrants are considered enemies. Those that choose to leave the ideological madhouse had to endure humiliations, delays in their immigration dealings, go to work in agriculture, or withstand insults and eggs at barbaric acts of repudiation. Fifty-four years later, the Castro government attempts to masks their treatment of the exiles, wielding an inclusive and moderate speech. They need it. That’s an important source of their economic support. 1,785,547 Cubans or 0.6% of the United State’s population, per the 2010 census, generates ten times more riches than Cuba’s GDP, one of extreme poverty, with a population of eleven million. It’s an incontrovertible statistic. 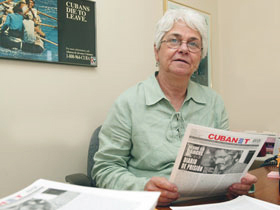 Havana, Cuba, October, www.cubanet.org – It was a great achievement by Rosa Berre (Havana, 1941 – Miami, 2006) to publicly expose the mass media of Fidel Castro, whose writers were willing to lie in exchange for crumbs. When, at the beginning of the internet, with the help of an old computer, a fax machine, her ingenuity and her strong personality, she thought about organizing a group of reporters that would write about the truth in Cuba, from the lion’s mouth, many thought that she was insane. Who would dare to report about the situation of political prisoners, the inefficiency of leaders in governing the country, the systematic violations of Human Rights, the opinions of citizens, and everything that the national press hides? And what would happen to those who had such tremendous audacity? From her home kitchen in Coral Gables, Florida, at the beginning of 1994, that lady with a sweet demeanor, but energetic, founded the page Cubanet: A refuge to all those who, marginalized, couldn’t put to use the freedom of speech, a truthful challenge to the long political hand of Castro, that could reach up even from their own neighborhood. In that year Rosa made her wish come true and as months passed, that group of brave people increased in numbers and professional quality, with the goal of having a Cubanet with a power to influence the emergence of a civil society and inform the world of the Cuban reality. The history of Rosita, as we used to call her with love and respect, is not well known. She graduated from the Normal School for Teachers, she studied journalism at the University of Havana, and since she was very young she belonged to that generation that trusted in the Revolution of 1959 as a solution to solve social injustices. She worked at the Periodico Hoy, which disappeared in 1965, and at the end of the 70’s woke up from the romanticism that so much pain caused to many and she was accused of having “ideology problems,” along with her life companion Carlos Quintela, who died in exile in 2001. Both of them were expelled from their jobs and punished by being sent to do, agricultural work in Pinar del Rio; they were called “reprobates” by Raul Castro, but they kept going “…with the dignity of those who break with the Revolutionary fallacy from power,” as our Human Rights champion, Ricardo Bofill, expressed it. In 1975 Rosita started doing crafts. Looking for the scent of freedom, in 1980 she, her husband and their two young daughters entered the Peruvian Embassy, where this family, dignified and honorable suffered for many long days perhaps the worse nightmare of their history. With that bitterness, with that traumatic and sad experience, Rosa and Carlos together undertook the arduous path of exile through the Port of Mariel, from where, in April of 1980, more than 125,000 Cubans began their exodus to the United States. 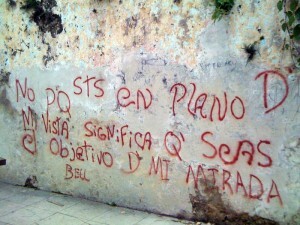 Today, almost twenty years after its foundation and seven years after Rosa’s death, on 19 October 2006, Cubanet continues their work to support the independent press and the right to freedom of speech and promotes the strengthening of the Cuban civil society, “… a legitimate element of democracy,” as stated by professor Vaclac Havel. With the physical disappearance of Rosa, many in Cuba thought that Cubanet would also disappear, but, perhaps as if with unknown invisible threads the great friend, committed to Cuba’s freedom, is still protecting us; Cubanet continues to keep her legacy alive. Needless to say, each new published text in this page constitutes a tribute to Rosa Berre. 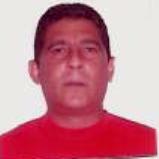 Osbelgi Fábregas Ramos deposited the sum of $90,000 CUP (Cuban currency) in a Popular Savings Bank in Havana in 2001, finding out days after the transaction, in Camaguey, where he currently lives, the money was not in the bank. Desperate after what had taken place and with the proof he had, among which was a bank slip showing a recent withdrawal, where the evidence of the credit coincided with his bankbook, he went back again to the capital and decided to report the events. Not the plot of a movie, it was extremely real; the documents handed over which constituted the material proof of the crime were lost by the judges themselves in Havana and all he was left with was a receipt for the date where it happily shows he provided the documents for the legal process. Up to that point, by his own accounts, the complaint sat on the desk of the Chief Prosecutor in Havana, who after more than 12 years a certain end awaits her, despite that according to Osbelgi through the letters that he presented to the Cuban Law Association (AJC), neither Francisco Soberon, ex president of the Bank of Cuba, nor the Attorney General of the Republic nor the Council of State and Ministers have given him an answer to his problem. We’ll see what happens from now on, he has asked the Cuban Law Association for an answer from those who should provide one, and have forgotten to do so. We’ll comment on the path of this story through the mazes which the law provides. On Thursday the Adrenaline 3D finished installing a colorful marquee like the old movie theaters; two days later they found out from the newspaper that they couldn’t remain open, not even until that weekend. But Adrenaline’s owners decided to open that Friday night. Like Scarlett O’Hara they will think about tomorrow. By phone they confirmed that only they and one other 3D movie room, in Alamar, would offer events after the prohibition expressed in the newspaper notice. The one in Alamar is disposed to wait until the authorities close them down. A couple in Lawton was desperate because they planned the opening of their 3D movie room precisely the Friday of the closing and they would not recover even the smallest portion of their investment. The measure was a war foreseen. The reason, ignoring the convenient absence a permit to transact in such activity, is the political culture of the Revolution, which should educate and cultivate our people with shows that elevate their sensibility and cultural heritage, etc, etc, etc. Said like that, it doesn’t sound so terrible, but it is suspicious that State television — the only one in existence — offers “products” which make you wonder who approves certain scripts and budgets for programs unforgettable because they are so hideous. That same television keeps us up to date on the wonders “Made in Bollywood” and there is every kind of canned show; I remember a South Korean one that pretended to be a comedy; it must be that our humor has nothing to do with theirs, which explains why I find the news cast from the North Korean television hilarious; clearly, the political culture of the Revolution has different units of measure. Many people, with the appearance of these private movie theaters, saw the possibility to recover the pleasure of going to watch a movie, beyond the home screen. Except for Chaplin, the Cinematheque and perhaps one or another theater on 23rd Street, the now surviving movie theaters show the national debacle with their broken chairs (careful with the vermin), deficient air conditioning (if they still have it), projection equipment and audio in bad shape; all that makes a visit to the movie theater very far from a pleasant experience. And so, the return of pleasure will have to wait. Saving the pearl for the end: a conversation among neighbors, with regards to seeing the crestfallen, now without the adrenaline to sing, taking down their marquee. So much condensed nonsense tried my patience, and very politely I interjected not to repeat those things without foundation, that it sounded like a government argument to accuse these places of being an unhealthy environment. He aspires to attain fame in that musical genre, very popular in Cuba. Because, in his own words “it is very lucrative, faster than going to school and getting a degree or going to a trade school.” When I asked him what he’ll do once reggaeton is over, he looks at me incredulous: “That’s never going to happen”. Then he slowly looks at my long hair and says: “And you guys, the “frikis” (rockers in the popular jargon), nobody sees you guys in the radio or TV. But reggaeton everyone supports it, from the Communist party to Lucas on television”. Just because you are in my field of vision doesn’t mean that you are the object of my gaze. I am in a town on the periphery of the capital, Guanabacoa. It is Sunday, the day is boring and the week depressing. After this instructive conversation with the “new man of the XXI.century.cubiche.cu”, I conclude that the paleontologists of the future will have a lot to talk about. I go out to walk the streets. I observe the overwhelmed faces of the few that challenge the mid-afternoon sun. I am sweating and the smell of the accumulated garbage piles (“in each block a committee…”) keep me company the rest of the way. I see a sign that looks like no one has been able to erase it. It is pretty offensive and I take a picture for you readers. Then I see others with “spectacular” spelling errors and I do the same. Then I understand why the “owners of the estate” [the Castro brothers] want to start a battle with the teachers that tutor students privately. Let’s remember that in medieval times, reading and writing were privileges for the high classes. As was access to the universities. The children of the nomenklatura will always have their home tutors. There is and always will be, as is always been, schools for the ordinary Cuban and schools for the children of the generals in charge. 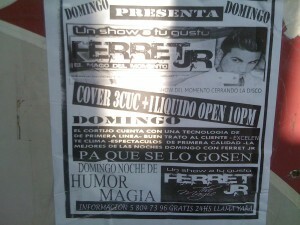 As I am heading back, I stumble upon the “reggeaton superstar”. I show him the pictures and ask him if he sees anything wrong. He looks at them for a few minutes, he gives me the camera back and says: “Dude, everything is cool”. The unfathomable universe, lonely and cold. Your footprints on the cement, still soft in our sidewalk. Your small steps, near and probably lost: Apology of the p. The world, the city, of the town: Cuba, Havana, Lawton. The sea, the year. The hum of the space left by you. The unspoken words, yet waiting. Like tigers, like me. The sadness of zero years in a country not as deserted but as defected: detested. 2000, 2001, 2002. Cuba, Cuba, Cuba: Hypothesis of country. 2003, 2004, 2005. Armenia, Armenia, Armenia: Hypostasis homeland. And the loud rabid sound of a car that turns the corner and stops in front of me. 666: is a police car. The law finally has remembered me. I looked at him. I was afraid to say the truth. I hesitated. But at the end I told him. And I was wrong. I think. Or maybe not. The day was beautiful, the town peaceful, and his gaze was noble. He wanted to destroy me, that is true, as perhaps he wanted to destroy himself too. However, even now I am convinced that the mulatto policeman had a noble gaze. Simply he was tired, overwhelmed by himself. And by me. Of course, I didn’t have identification. Otherwise, this story wouldn’t have existed. I told him. That I didn’t have identification, otherwise our story would have never existed. Plus I was sitting on the sidewalk of Fonts and Beales, the strangest two streets in Lawton, just in front of my house. However, the latter I didn’t say it. I shouldn’t confess everything ahead of time. With the law is like that. -Then you have to come with me- he said, and started pronouncing phrases through his walkie-talkie. He was euphoric, perhaps he would never forget that day. I was happy for him. Accompany him. The idea appeared fatal. I told him. He pushed me and handcuffed me great skill, hands to the back. It hurt me, but I kept silent. He hit me without too much force in the legs. It was an action that I never understood. In fact, I still don’t understand it. As if he was looking for something, as if he wanted bend something in me. And that was simply impossible. In fact, it still is. We rode in police car 666 and the car accelerated up Fonts and then slowed down at Beales, until he parked in front of the police station. At the side of a children’s playground, now in ruins. I was a good man and I was crying. Crying of happiness. The driver was looking at me surprised; he would scratch his head under his blue hat. The mulatto too. He couldn’t shift that crazy noble gaze from me. I told him. And I followed instructions. And just like that we lost our first possibility, in 50 or perhaps 500 years, to have a conversation. I don’t know. Now I suppose that was the price of our mutual happiness. Mute happiness. Isn’t it suspicious that even language exists? And that also rusty railcars from Railways of Cuba exist, stopped at the Luyano crossroads? And the Metropolitan Buses crossing the railways, shimmering in the moonlight, lunatic moles, like dead tigers almost to be point of being revived from a shot at the heart? And the pain of the yellow lines over a zigzagging street that during the day the asphalt has melted? And the metro buses, and big rigs, and bicitaxis, and other reality particles? And the flat feet of the pedestrians, as pedants and forgivable as any policeman, as flat as the eternal first page of the Jairenik newspaper, as precarious as the cries of the Chinese Fu to the long and narrow neighborhood: Jaileni…, Jaileni…, Jaileni…? And the blue color of the night, of the sea, and the uniforms of the authorities? And the extended hands of the beggars at the restaurant, sitting down without dreams at the old sandwich place at Lawton’s bar waiting not for a coin but that it would never dawn? And the natural flowers, like the plastic ones: kimilsungias with super red petals, Bulgarian roses of worker descent, tuberculosis tulips, and lilies from the Pastrana River? In fact, isn’t it even suspicious to live? Just like your radical absence in Havana, except in my room. Just in like your sad smiling picture, hanging from my wall, perhaps from the neck. Just like that smile without memory that, night after night, you remind me that just now you are forgetting me. From another town, anywhere in the world, except Lawton. From Miami, Mexico, Montevideo; from Manila, Moscow, Milan; from Marcella, Melbourne, Madrid or La Mecca: amnesia of the sh. Like the smile three times sadder of that woman in black and white hanging at the lobby of the police station. Under it, someone has written her name and hung a flower. Plastic, of course. But the typography is miniscule and I can’t read it from the bench on which I am detained without a major accusation. Perhaps “Celia”, perhaps “Cielo”, perhaps “Celia in the Cielo” or the reverse. I really don’t know. And me, isn’t it suspicious that I even exist? And the tiger, the beautiful beast that ignores which of the successive cages they have moved him to, isn’t it very suspicious this sudden exhibition? They took my fingerprints. There was no ink and they did it with an open pen refill. Blue ink, just like the cap of the driver, and the splendid sky of that January, and the uniforms of all those men there. Good men forced to all like the same color fabric. They took my fingerprints. For the first time I saw my fingerprints. All fingerprints look like those of a criminal. However, not even criminals can stop being good, despite the ink marks on the top right corner of a “Detention Form”. Or Defunction. Next to me an old lady was shaking, her hands opening and closing the zipper of her bag. A nylon bag, full of something that no one could now imagine what. Cubanacan S.A., Made in Armenia. To my other side, squeezed on the other side of the bench, two young girls of 15 or 16 looked at Celia or perhaps at the fake room ceiling. Either way, both with rabies. Good girls trapped by the equitable strap of hate. Black. The old lady was white. Three sad faces and not even a trace of the tiger. I simply didn’t exist. And it was fine like that. If I had existed then, the story wouldn’t exist later. At that time, kids were screaming outside, having fun in their play ground or paradise now in ruins. A man dressed in plain clothes walked up to me. He kneeled down at the bench and looked at me with all the benevolence of the New Year, century and millennium. After that look without bad intentions, Armageddon could come: humanity was saved. I sensed that this man was a saint and that he was far above good and evil. -They have told me that your name is William Saroyan- he said. -And in the wildness of your look?- he said and smiled. I nodded, and also smiled. Definitely, he was an immortal. Or perhaps I loved him. Or both things at the same time. And, ultimately, they are nothing but days of the universe flush with January, time retracted by the tedium of looking at it all wrong. A Sputnik knife, or an Inout pressure cooker, an Amadeo shoe. Nothing fits, everything evaporates in the evaporated milk of reality. Nata Nela. I had a Polaroid camera , and the world at times reminded me a snapshot scene and sometimes a very scenic snapshot. I took photos. Nothingness. Objects left behind. Books without letters. Kids that died with me. Waterfall promises. Wishes to feel wishes. Empty looks, emptied by the boredom of looking at it in reverse. Mine on a rooftop in Lawton, for example. Yours in a corridor of Armenia, for example. Your look humiliated by another Polaroid camera far away, on the other side of the ocean, perhaps two or three meters away: hanged, perhaps by the neck, over the most solitary wall in my room, in my house. And the Caribbean Ocean, the year of the Horse. The indigo blue, the blue uniform from the Industriales baseball team. Nothing settles, all memories float like drool. And, ultimately, they are nothing but days of the universe flush with January: lost time, or even better, a story out of time. -William Saroyan, isn’t your real name Rock Wagram? – said investigator number one. -William Saroyan, isn’t your real name Arak Vagramian? – said investigator number two. -William Saroyan, isn’t your real name Aram Garoglanian? – said investigator number three. -William Saroyan, isn’t your real name Wesley Jackson? – said investigator number four. -William Saroyan, isn’t your real name Ulises Macauley? – said investigator number five. -William Saroyan, isn’t your real name Armenak Saroyan? – said investigator number six. -No- I said. That’s only my father’s name. -William Saroyan, isn’t your real name Takuji Saroyan? – said investigator number seven. -No- I said. That’s only my mother’s name. -William Saroyan, do you swear then be called William Saroyan and nothing else than William Saroyan? – the man dressed in plain clothesshook me by the shoulders. -No- I said. That’s only my name. Every man is always a good man in a mistaken world. No man is capable of changing even half the story around him. Nor a word. Nor a syllable. Nor silence. Loneliness and sadness are the tribute and the failure of every good man. That’s why we are tragic and innocents and we have long distance loves that will never leave us. Even if we are jailed because the law, finally, has remembered us and it asks us to confess some name, even a false one. Preferably a false one, but plausible: Who would dare to profane the word truth? Itis like a beautiful silence that at the end always obliges us to participate. It overlaps and involves us. From there, then, our implied guilt. From there, out notable guilt. These are the rules of the game. Good laws, like all laws have always been. I was released, on my word. That is, under silence. They ask me not to say to anyone what had taken place. It was useless to convince them that in reality nothing had taken place, and it was just there where my story was. I was released even without a fine, by the pure trust of the police institution. -Don’t cry, Takuji. Our son will soon be fine – he would repeat. -Dear parents: nothing has happened here – I lied to console them. It has all been a misunderstanding. And then I walked through the mansion at Fonts and Beales, straight through the longest and narrow halls of the world, and I closed the door of my room to cry. It was a winter cold: the driest season of the year, of the old century, and of the new millennium. Therefore, not one tear I cried. I looked at the picture of my old love, also in black and white. Just like Celia, or Sky, perhaps Celia in the Sky, or to the contrary, in the police station. Just like the mud accumulated on the sidewalk after the successuve stations of the world. And at that point the phone rang and it was her. After exactly one decade, I heard her voice again. The voice of my old love, or at least, my own voice pronouncing again that old word: love. All man who lives without love has to look for love. No man can live in love for too long a time, nor does he want it even if he wants it. And at the same time, love too soon grows bored from any man’s history. These are also, the rules of the game. Magnificent rules, for a magnificent creature. The rest is all literature: literally, hard letters. Exquisite cadaver. -I have missed you a lot- she said in Armenian from Erevan. -Me more- I answered in Armenian from Lawton. -And I adore you too- she instantly replied, now talking in Cuban from Europe. The calling card is ending: so is best that I call you tomorrow. My old love hung up, hung up, hung up. Leaving me with the silence in my mouth. Leaving again hanged only from my wall, perhaps by the neck. As smiling and sad as if my room were the lobby of the police station. And I didn’t even have time to answer her in Cuban from Cuba. There was a knot in my brain before the one in my throat. It had been a long time that I hadn’t spoken that borrowed tongue. Stray. On occasions, not even half a million phrases are enough to be silent. The solitary, fathomless and universal cold. Your footprints in the now rigid cement of our sidewalk: rigor mortis. Your footprints dissected, distant, definitely unknown: deception of the d. The mute, the wicked, the mud: Cuba, Havana, Lawton. The sea, the year. The ringing of the silence left by you. Never ask for whom the bells are silent. The over used words, still lying in wait. Like tigers, like me. The sadness of the zero years in a country not as deserted as defected: detested. 2000, 2001, 2002. Armenia, Armenia, Armenia: homeland bandage. 2003, 2004, 2005. Cuba, Cuba, Cuba: homeland apostrophe. And the endearing silence of the car that turns the line and stops in front of me: the joke of the bells announcing that the paper ended. The rusty keys of my old Underwood still doubling the alarm. All aboard. All aborted. Until you finally forget justice. The good thing is that one can dispense of the righteous. It’s as easy as to dispense with a beginning, with no story, and to simulate an end. Irreparable laws to mitigate, without too much success, the noble excellence of our unreality. Good laws, of course, as any laws they should always be. Yesterday, November 1, in the afternoon hours, once again we crossedthe now familiar threshold at Estado de SATS. 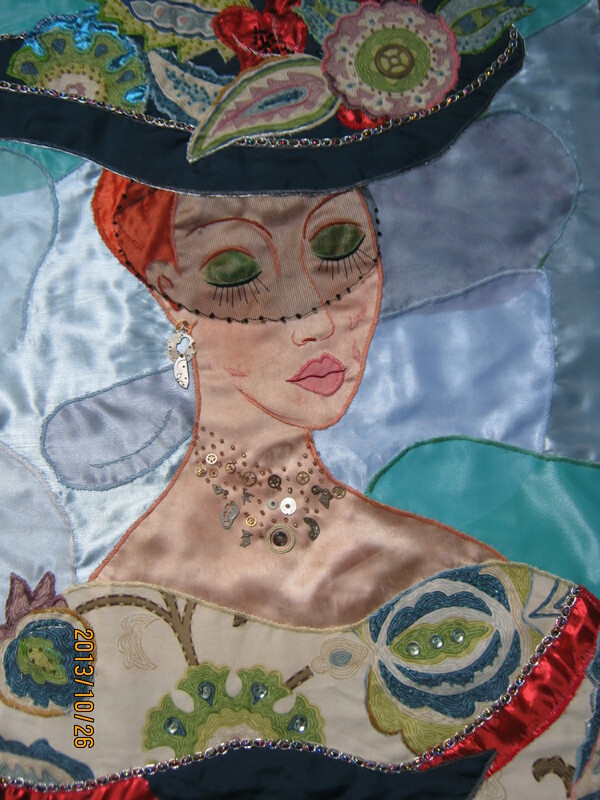 In this opportunity, I was the guest of honor, with an exposition of my art in patchwork titled “Women,” dedicated to a gender I belong to and of which I feel proud of, because each day we manage, despite the shortages and inconveniences, to integrate ourselves more into society, sharing and competing side by side, fair and square with many men, without neglecting those tasks that, as mothers, wives and daughters, ancestrally, were “assigned” to us. I was moved by the beautiful opening words about my trajectory, spoken by my good friend Regina Coyula, but even more was the satisfaction of my friends’ presence, that despite of having work and professional relationships with the only employer of our country, had the courage of ignoring the operation orchestrated by State Security, now so habitual, and came closer, for the first time to this emblematic and “stigmatized” place. I noticed and missed the presence of some friends that I thought would be there, above all women, the gender to which this exposition was dedicated; some were sick and some had last minute incidents, which sadly must have pleased the “comrades that were taking care of us.” However, the exposition met its objective, and we showed once more that Estado de SATS is an inclusive place, where arts and thoughts converge, and where the common denominator is the aspiration that Cuba be again a free and democratic country, with all and for the well being of all, as our Apostle Jose Marti would have wished. My most sincere gratitude to Estado de SATS, the organizers of this beautiful event and to all that came to provide me their support. “At the XXIII Submit of Iberoamerican Chiefs of State and government under the slogan of: Alliance for new paradigms; young representatives of 25 Iberoamerican countries with the objective of taking on the challenges and problems of the region we will get together in the Iberoamerican vanguard marking 500 years since the discovery of the Pacific Ocean, from the 13th to the 16th of October in Panama City, Panama. “Considering the importance of sustaining a healthy relationship between all the countries of the Caribbean region. 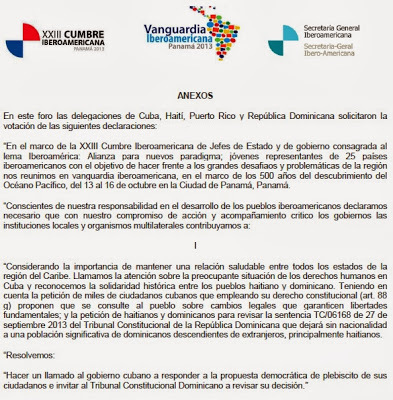 We call attention to the worrisome situation in Cuba related to human rights and recognize a historical solidarity between the Haitian and Dominican countries. Taking into account the petition that thousands of Cuban citizens that using their constitutional right (Article 88g) propose that the citizens are consulted over legal changes that would guarantee fundamental liberties; the petition of Haitians and Dominicans to review order TC/06168 dated September 27, 2013 of the Constitutional Tribunal of the Dominican Republic that will leave without nationality a significant population of Dominicans descendants from foreigners, mainly Haitians. In Cuba people seldom go to extremes. Here you will not find a Mohamed Bouazizi ready to turn himself into a human bonfire in front of the Ministry of Housing to protest excessive taxes. There are, however, a lot of Bouazizis around. Their way of rebelling is different. 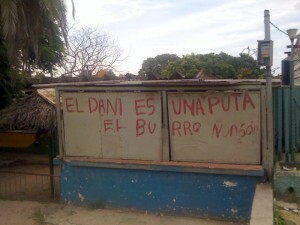 Cubans do not take to the streets to express their discontent. Nor do they organize massive demonstrations with signs or set up protest camps. They protest at a snail’s pace or with sit-down strikes. Or they steal what they can from their workplaces. Or they behave inappropriately in public or they fail to pay their taxes. During this month of October the tension within one segment of the population has been palpable. Private taxi drivers are furious. Many have received a notice from the tax office telling them of new levies they must pay. 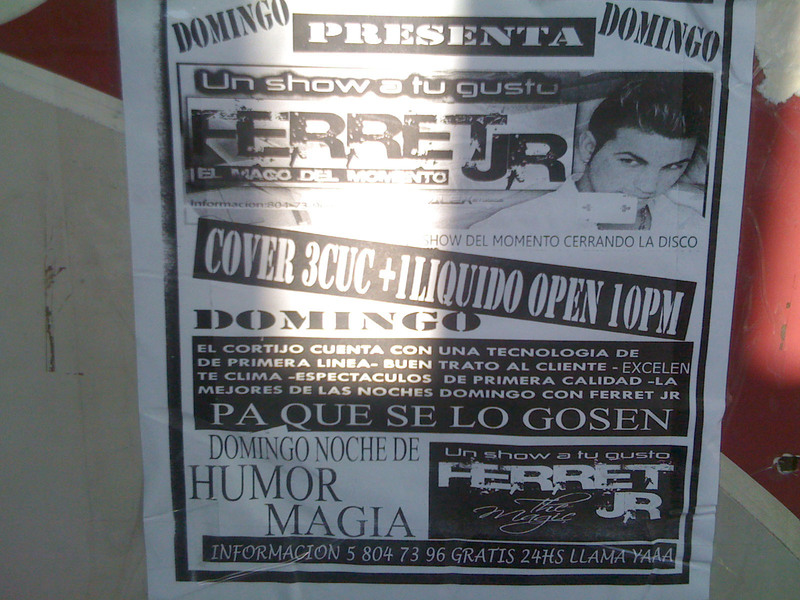 “I have to pay $15,000 pesos ($740 US). And I know of cases in which taxi drivers have to pay $30,000 pesos ($1,300 US). There is one thing you can be sure of: Just like the rest of them I will not pay one cent,” says one Havana taxi driver, the veins in his neck bulging. It’s obvious that the regime wants everyone to pay their taxes. They explain that is not an invention by Raul Castro. And like fearful parrots, the official media repeats that “our citizens should learn to have a tax-paying culture, those tax revenues become social benefits”. The arguments fall on deaf ears. The resentment that prevails among the self-employed workers sees that the States sees them as the enemy. I’ll give a little bit of history. Throughout the years, the regime harassed the self-employed. One night in 1968 all small businesses were closed. From grocery stores and hamburger vendors to Chinese restaurants and shoe repairers. When in 1994 Fidel Castro opened the faucet to certain private initiatives he didn’t do it to slowly introduce liberal methods or a market economy. No. It was a matter of political survival. The public accounts were in red. The State had to deflate if it wanted to be profitable. 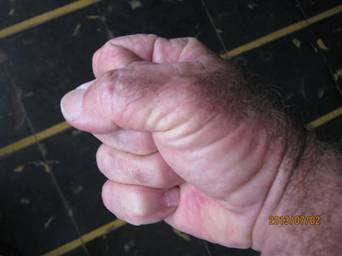 Then it loosened its grip and permitted minor trades like umbrella repairers, peanut sellers or raw material collectors. You could also sell coffee, rent a room or set up a restaurant with twelve chairs. Always with the imposing high taxes to slow the capital accumulation. At the end of 1999 Hugo Chavez came to the Miraflores Palace in Venezuela. A Santa Claus with petro-dollars. Castro took a step back and self-employed work was marginalized. Between 1995 and 2003, the number of self-employed dropped from 170,000 to 150,000. But in the national landscape there was news. Fidel departed from power in July 2006 due to illness. The natural heir, his brother Raul, is almost the same although with different strategies. He eliminated absurd prohibitions that classified Cubans as fourth class citizens. He allowed the rent of land, made it legal for Cubans to frequent tourist facilities, and legalized cell phones, the purchase and sell of homes and cars, and as of January, travel abroad. Currently there are more than 436,000 self-employed workers. According to the government, self-employment “has come to stay”. But ordinary Cubans seem to be distrustful. Other economic openings were cut off at the root with legal penalties and scorn in the public media. Naturally, people think that the story could repeat itself. Even more when they know that the government allows self-employment as long as they don’t make too much in profits. Small businesses are controlled by an army of inspectors and harassed by high taxes. Therefore, the escape door of many self-employed workers is tax evasion. In the island, citizens’ dissatisfaction is not a synonymous of strikes, indignant marches or street protests. The Cuban Bouazizi prefers the passive disobedience, either by stealing at work or not paying taxes. Photo: Under the rain, people wait in front of the Saratoga Hotel to get a glance of Beyonce and her husband, rapper Jay-Z during their April 2013 visit in Havana to celebrate their fifth wedding anniversary. Taken by NY Daily News. We Cuban women invented alternative cosmetics: cream deodorant mixed with grated color chalk to make eye shadow, shoe polish as eye mascara, yellow soap with oxygenated water to dye the hair lighter or carbon extracted from old batteries to make it darker, detergent instead of shampoo and “Alusil,” an antacid I think, was used as gel for the hair. My first makeup came from a professional water-color set. For an age in which image is everything, any resource was welcomed. What we couldn’t invent was perfume. 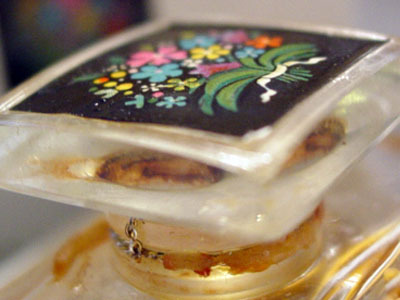 As a girl, I loved my mom’s fragrance, the smell in her closet and drawers. It was Fleur de Rocaille de Caron, the last bottle she bought at a beautiful store (La Havana Antigua) which was at Hotel Havana Libre in the early 70’s and when the perfume was gone, my mom took off the top, which was designed with a flower bouquet, and the smell inside her drawer for intimates stayed in her closet and is still in my memory as a smell of “beyond death”. No matter how badly we wanted, no one or almost no one was again able to come up with a perfume; a good essence was outside the realm of any computation, even the cheap colognes disappeared, which it didn’t matter between so many uniforms and the continuous agricultural labor mobilizations. Perfumes exercise an inevitable attraction over me. I believe I could have been a good “nose” for the perfume industry; also helpful is my semi-Quevedian nose. It often frustrates me to celebrate a perfume, ask for the name and the answer is something like,”I don’t know, is a long bottle with a blue top.” I never understood how such an important accessory could be taken so lightly. When I had perfume, it was Red Moscow. I didn’t like it but I couldn’t choose. I envied my sister’s skin, with a spectacular chemistry that would smell almost French when it was just Russian. Maybe those perfumes were not that bad, but they had something cloying that I didn’t like. If I had an important outing, I would steal from my mom a small touch of Air du Temps by Nina Ricci that my uncle had brought her from a trip to Europe. Later, my brother Miguel started working at CAME and from Hungary he brought me Charlie by Revlon, a fragrance known in Cuba as the “perfume of the Community”, and I suppose that it was a pioneer scent in the US perfume industry which was well placed in a market where France reigned indisputably. One third of the allowance from my first foreign trip in 1979 was spent on Fidgi by Guy Laroche, the first perfume chosen by me among many to choose from. On that same trip, I bought for everyday use Astric, a scent from Germany that I remember with much love, which I suppose is as lost as that Germany. Throughout the years I have had other good perfumes, but they have been gifts; now they are sold in foreign exchange stores but they don’t even offer a sample to smell. The same classic French and the Calvin Klein, DKNY, Carolina Herrera and company are so expensive that you have to first buy soap, shampoo and deodorants manufactured by Suchel, a lot more necessary at this point in my life than a brand-name perfume.